The Trampoline Man has been making all sizes of black polymesh rectangular mats since 1990. 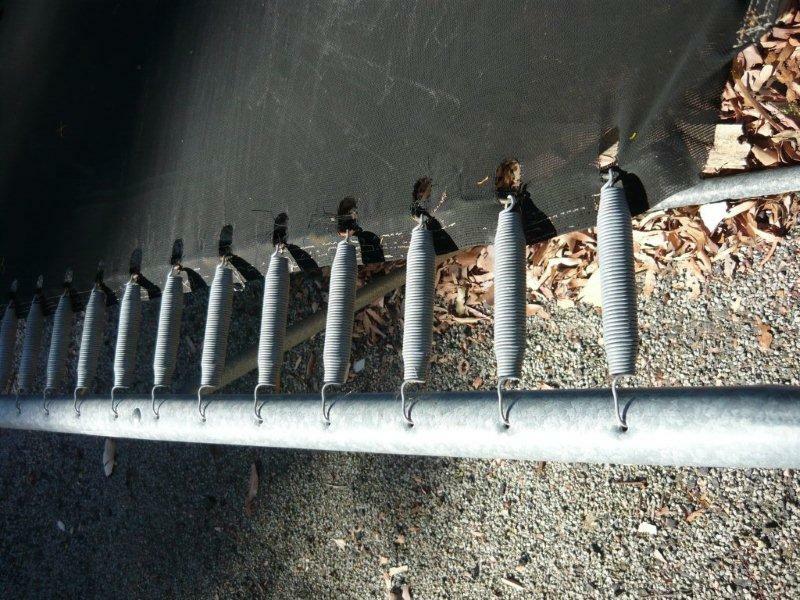 Our mats use the wire hem bar system. So if your old mat has the wires already, you can re-use them in your new mat. However, if your old mat has triangles sewn to the hem of the mat, it means you will need to convert it over with a set of hem bars. We sew 4 rows of stitching on our mats (see below) using a polybonded cotton which is UV stable. If your mat looks like the one to the right, then your hem has come undone. It will either have to be re-sewn or a new mat will need to be purchased. 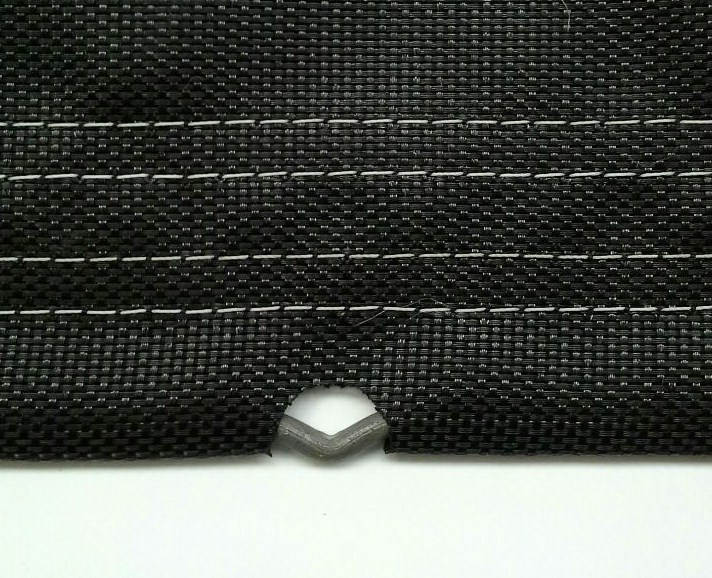 When measuring a mat, the hem needs to be folded under into it's normal position like the picture above. Springs are not included. Please see our parts section. If you do not see your mat on the list below, we can custom make them for you. However, we will require you to either post your old mat or drop it in to us so we can use it as a template for the new mat.